August Programs - Create with us. We offer opportunities to engage with older adults creatively. Our online calendar has dates and locations for August arts outreach programs. You can also learn more about the success of our programs, see pictures and read stories by following our blog. Bring your favorite older adult and give them the gift of creative engagement. Please visit our online calendar here and email or call us to attend a program. 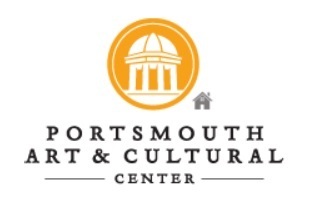 Tidewater Arts Outreach presents visual arts for older adults at Portsmouth Art & Cultural Center. 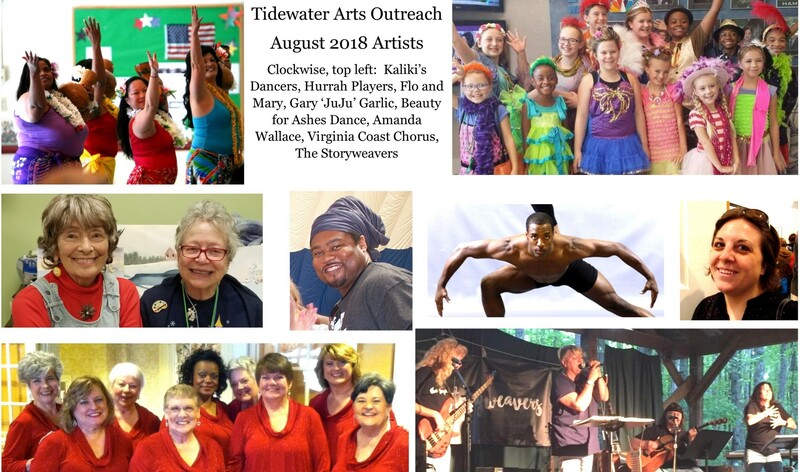 In Fall 2018, seniors 55 and better, their carers and friends are invited to experience the arts at workshops conducted by Tidewater Arts Outreach artists at the Portsmouth Art & Cultural Center. Dates are the third Wednesdays, 10:30 - noon. In September, we will be collaging along the theme of quilt-making, in response to the current exhibit, 'To Have and Behold.' A modest $3 fee includes materials, art-making and a tour of the current exhibit. Brown bag a lunch and enjoy the courtyard afterward. Call 757-393-8543 to reserve a spot. Look for additional, similar programming in other cities from Tidewater Arts Outreach soon. CMT Music Magazine calls The Barefoot Movement" one of the most promise new bands on the bluegrass scene." Their repertoire covers emotional ballads and rip-roaring barn-burners; you can expect a collection of music that will inspire, surprise and delight. Event proceeds benefit Tidewater Arts Outreach; info and links are here. Our 14th annual tournament is upon us! Special thanks to Stuart Goldwag and Don Bradway for chairing this year's event, and Atlantic Bay Mortgage and Gina Lynch, State Farm Agent, for their early-bird sponsorship support. Want to sponsor, play or donate a raffle item? Learn more here.